Cullen Bunn warns of dark days to come as the Poisons invade! The events of VENOMVERSE reach their climax in the five-issue event that is writer Cullen Bunn and artist Iban Coello‘s VENOMIZED! When issue #1 hits shelves April 4, Venom and the X-Men are desperately racing back to Earth to warn everyone of an impending invasion by the Poisons, who want to bond every super hero with a Klyntar symbiote. And to add insult to injury, the alien usurpers have already taken possession of Jean Grey, whose powerful psychic abilities, when corrupted, do not portend good things for anyone. Speaking to Marvel.com ahead of the first issue, Bunn detailed the impending threat, the key players in the story, and how this event will prove to be a poignant send-off. Marvel.com: You’ve written several Venom stories now; what lessons have you learned to apply to VENOMIZED? Cullen Bunn: That’s a tough question, really, because VENOMIZED is so different from, say, my run original run on VENOM. My Flash Thompson Venom stories focused on one man (who wasn’t necessarily super hero material) trying to be the best super hero he could. VENOMIZED (and VENOMVERSE and “Poison-X” before it) are much more focused on popcorn sci-fi action. But if my original VENOM stories taught me anything, it’s that this new tale, no matter how wild and crazy, needs to lean into the host and symbiote’s relationship. With dozens of Marvel characters getting symbiotes, I definitely focus on a couple. With Eddie Brock, we’ve seen tons about his relationship with the symbiote already and we’ll continue to see more in his book, I’m sure. So, I instead turned a magnifying glass on Eddie’s relationship with symbiotes as a whole. What does he think about the alien species? There are other characters who will have more complicated one-to-one relationships with their symbiotes. In particular, Spider-Man. Marvel.com: Can you talk a little about the creation of the Poisons and why they pose such a threat in this run? Cullen Bunn: The Poisons were created for the VENOMVERSE story. If you’re not familiar with how these semi-event comics (at least sometimes) come together, when I pitched VENOMIZED, I flew to New York and sat in a room with several editors. 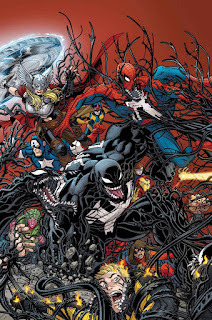 I threw out my idea for the story (going into the room, I was told only that Marvel wanted to do a tale focused on Venomized versions of various characters, with Eddie Brock as a focal point). From there, the story was broken down and rebuilt and broken down again. In the beginning, the “Poisons” were going to be the “Symbiote-Slayers” I introduced way back in my original VENOM run. Then they were going to be the true progenitors of the symbiotes. Then we settled on the idea that they would be the perfect symbiote hosts. I came up with the notion that these creatures were naturally very, very weak. They were at the bottom of the food chain. But when they come into contact with an alien symbiote (especially one worn by an individual with enhanced abilities) they become these super-predators. These creatures, picked on and bullied for so long, became the ultimate bullies, and they went on a rampage to collect more and more power. Now, the Poisons have come to our Earth, and they are collecting as many super powered individuals as they can. When they take over a person, they consume them. The person dies in order to fuel the transformation and the symbiote bonding process for the new host. The Poisons couldn’t care less about our world, save that they want all of our enhanced heroes and villains. And they have brought hundreds of Poisoned heroes and villains from other worlds to help them on their hunt. In order to harvest super powered symbiotes, the Poisons must first prepare the harvest. 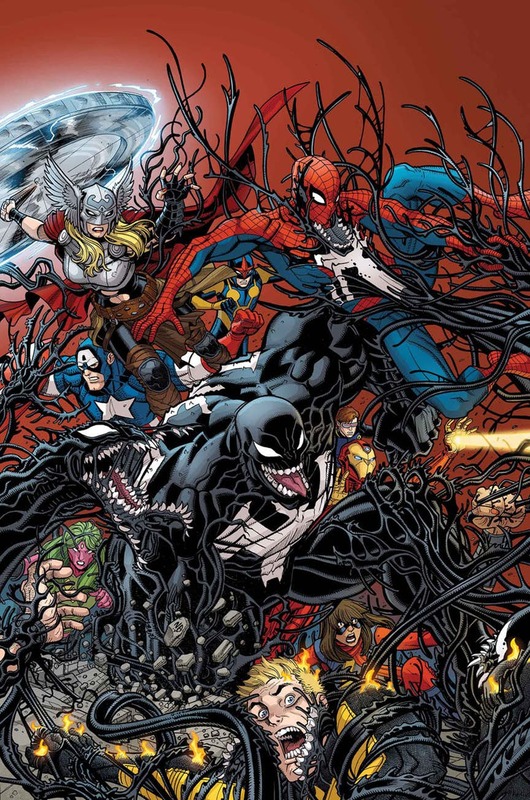 That means giving as many heroes and villains symbiotes as possible. They have taken all of the symbiotes from the Planet Klyntar and are using them as weapons. You might think giving a hero a symbiote only makes your job more difficult…but the problem is, if you have a symbiote, one touch from a base-form Poison means death. Marvel.com: How does the absence of Venom and the X-Men complicate matters? And when might we see them again? Cullen Bunn: Well, the X-Men and Venom are racing back to Earth to warn everyone about the coming invasion. They’ll arrive in the first issue…but it will be too late to help. Maybe a bigger complication, though, is the fact that Jean Grey has been taken by the Poisons. She’s a very powerful psychic with a deep connection to Cyclops. That’s going to cause many, many problems. Marvel.com: Who will be fighting the enemy in their stead? What sorts of methods will they employ to try to defeat them? Cullen Bunn: Many heroes are getting drafted into this fight. The Avengers, the Champions, the X-Men, the Defenders…and others. Defeating the Poisons will not be easy, though, because they really have no idea who they are dealing with. One hero who may be key to the resistance is Anti-Venom. His abilities make him dangerous to the Poisons, even though he may not be willing to give it his all for various reasons. Anti-Venom is one of three “anomalies” the Poisons are very interested in. Another is Kid Kaiju, who would present the Poisons with some terrifying new abilities. 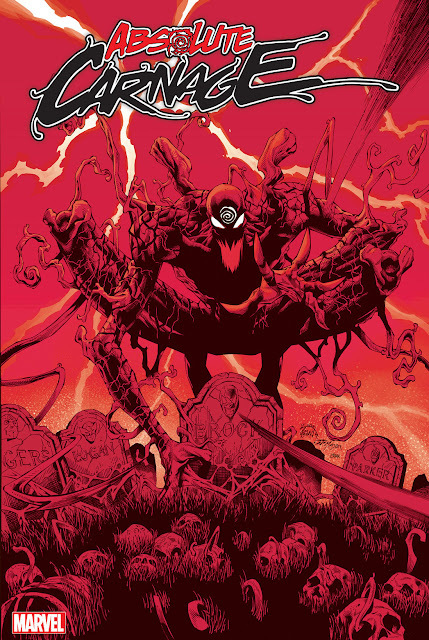 Another is Carnage, an alternate universe version of whom gave them fits in VENOMIZED. All three of these characters will become targets for the Poisons. And some of them may fall victim to these alien invaders. Not every hero will walk away from this fight unscathed. Marvel.com: What are you most excited for readers to see in this new limited series? Cullen Bunn: I think there are some really fun—really creepy—beats in regards to how the Poisons see each other that I’m very excited about. We know they use psychic “lures” to draw in prey. Here, we’ll see that those lures have other functions, too. And, of course, I think it’s going to be a lot of fun to see a bunch of Venomized heroes at play. Read VENOMIZED #1, by Cullen Bunn and Iban Coello, this Wednesday—April 4!